Hi there! We have more gorgeous NEW stamps inspiration for you here on the blog today. 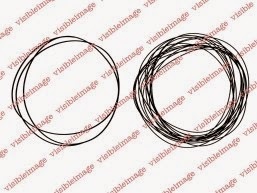 Did you see the new stamps Visible Image has released? If you haven’t, you really should go and check them out. As a member of their DT, I was already sent some of these beauties but they are available to pre-order and will be mailed 13th of February so the wait isn’t that long anymore. I had so much fun creating with the new stamps and my head is filled with a lot more ideas, but that shouldn’t be any surprise when seeing the designs. Now I could have just sewed my scar using an needle and thread, but my scars are strong and holding me together. Shop: where you will find all our awesome stamps! 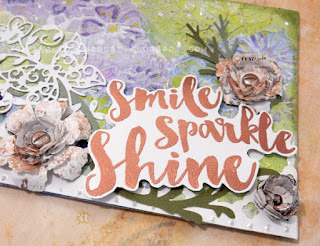 You will find more of Veerle’s stunning cards and projects over on her blog. And why not subscribe to her YouTube channel! Thank you so much for visiting us here on the Visible Image blog today. We have lots more awesome projects to share with you over the next week! Today I am showcasing one of the incredibly versatile stamps from the Visible Image EXPRESS YOURSELF range. This one is from the This is Me set. I have used an embossing folder on this one with a bark effect.Started as always by creating the background. This involved Brusho, when doesn’t it these days? I used a little of the powder colour mixed with a little water and painted it onto a good quality watercolour card. When it was dry I used the tip only of a broad flat headed brush to add little strands of orange and green. It reminds me of saffron in a way. I then passed the dry piece of card through the embosser using a tree bark texture plate. 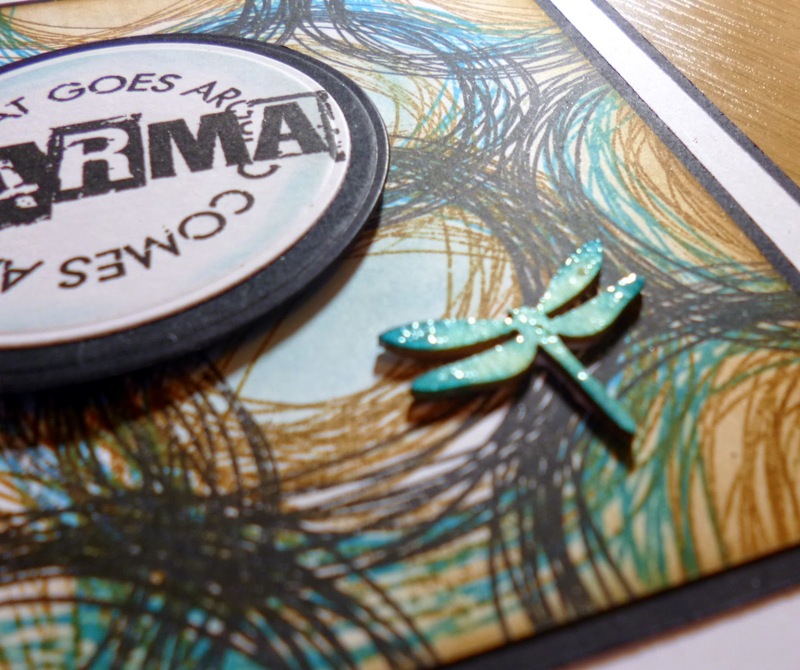 Afterwards I swiped a clear embossing ink over the raised areas and embossed using clear powder. It makes the texture show up more. 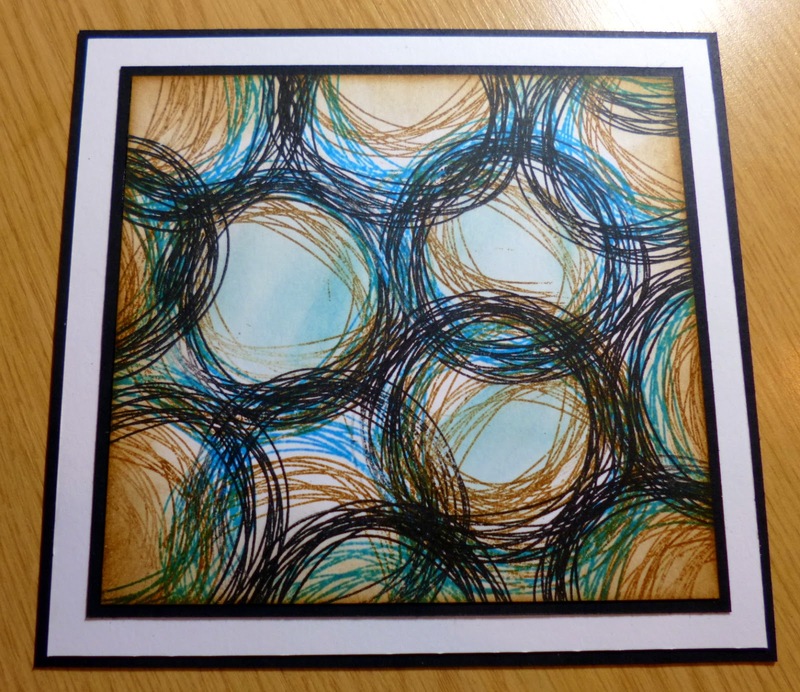 In keeping with the texture on the background I used a little corrugated strip with a faux buckle to add interest. 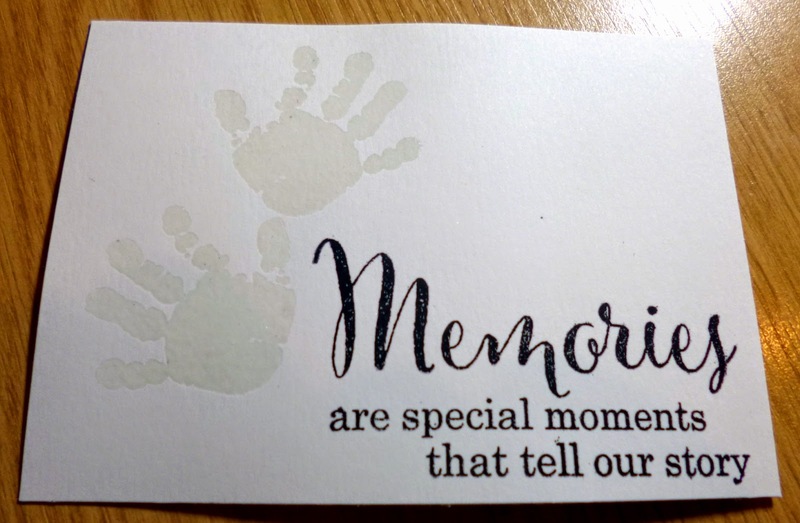 The sentiment was stamped on piece of card which had been coloured with the same shades of Brusho but in an ombre way which was then splashed with water. Click HERE to find out about the Show & Tell monthly challenge – It links to the group where you can upload your projects and tell us all about them! Click HERE to go to the Visible Image blog homepage to see the latest DT inspiration projects and check out the Projects Gallery too. Come back tomorrow for Soozie Tuesday with Sue Joseph! Sue has a stunning card to share with you. Good Morning! Today we are back with more NEW stamps inspiration. It’s time for another look at some of the fantastic newly released stamps from Visible Image. 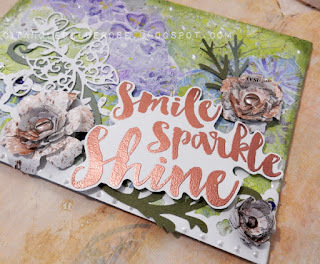 This week I have used one of the new backgrounds – Plasma set, and teamed it with a sentiment from the Express Yourself range. I used Versamark ink and a selection of pastel embossing powders to layer up the background onto black card. I love this squiggly design, it looks so crisp and funky on the black background. I stamped the sentiment onto a circle of black card and embossed with white, then stamped the other design from the Plasma set around it and embossed in pink. I layered the black circle onto a white circle and attached with 3d foam. I hope that I have inspired you to put away those patterned papers for a while and try to create your own fantastic backgrounds. Love this card! 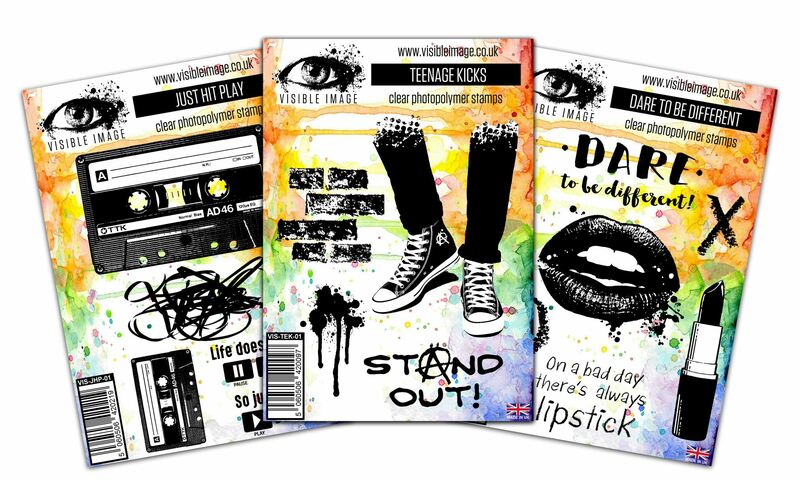 Doesn’t plasma make such a cool and funky background 🙂 All our new background stamps work brilliantly with our Express Yourself quotes, and they’re so versatile, definitely ‘must have’ stamps! Thanks so much for visiting us today. 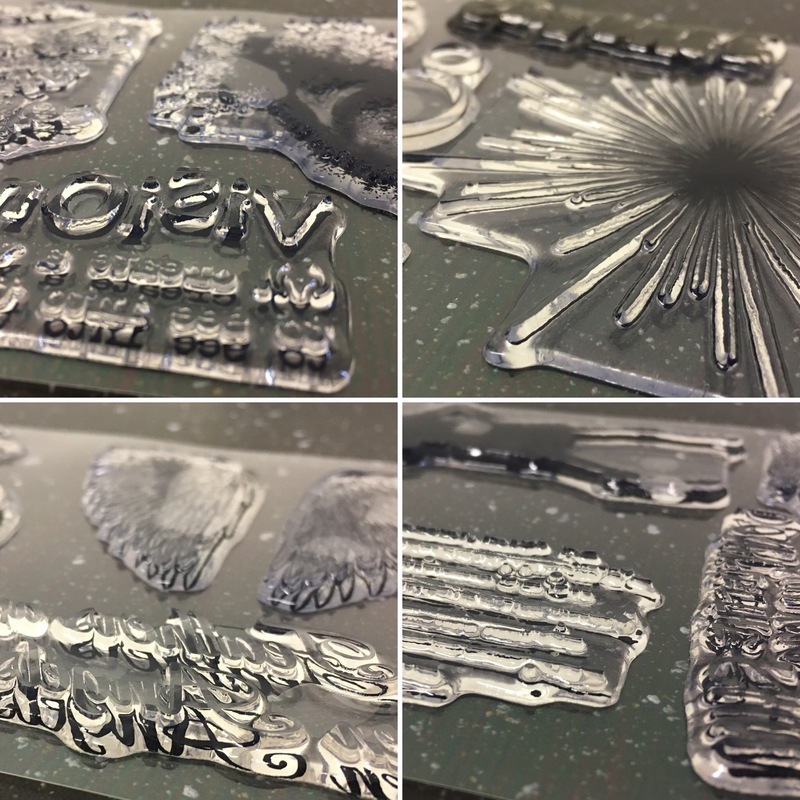 Hope you’ll come back tomorrow for some fabulous Wonderland inspiration from Lisa and Kim R.
Behind the scenes we are incredibly busy finalising our NEW stamp designs, as well as making so many orders for our fantastic customers! 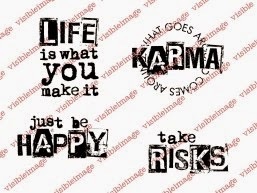 I’ve been having so much fun with Visible Image’s new sentiment stamps! as she is on a secret mission 😉 We’ll be back with some romantic inspiration from Lisa tomorrow though! What a snowy, cold week it has been. I hope that you are all OK? It was very changeable here on the coast but we didn’t get any proper snow. We had hail mostly but enough to leave a layer about 5cm deep all over the garden. We also had thunder and lightning, which I can’t ever remember having had before during the winter before! Weird! 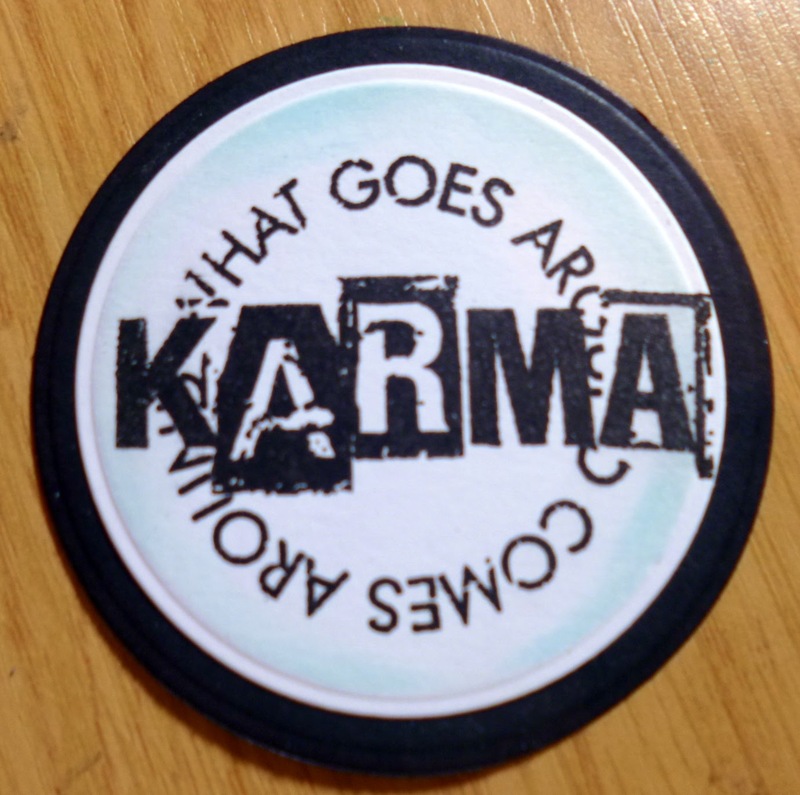 So today I am showing you a simple card………..or is it? I have shown this to some of the other DT at Visible Image and they all thought it was an embossing folder. Well, as Visible Image don’t make embossing folders (I will say ‘YET’ because you never know with these guys, anything is possible!). yeah, as they don’t make embossing folders it would be wrong to make this the main feature. They do however make a brick stamp don’t they. So how did I do this? It all started out as piece of card which I had coloured using Brusho paints in brick colours, brown, black, some red and a bit of yellow. I had done the colouring in a patchy, random way, with some splattering and water drops because I wanted it to look like brick. 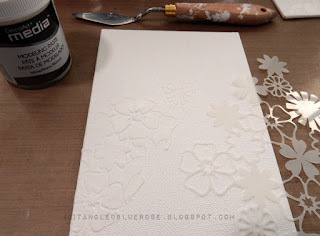 Once it was totally dry I stamped onto it using clear embossing ink and powder using the brick stamp. At some point during this process, maybe to wipe away some embossing powder, I inadvertently picked up a wet wipe instead of a piece of kitchen towel and wiped across the bricks. I was about to say ‘Pooh-sticks’ when I noticed something quite special. The wet wipe was exposing the mortar. Well it would because we all know that Brushos can be re-wet and soaked away when doing the splashes or high-lighting techniques! Very soon I was wiping all over the piece of card and getting this very realistic bricks and mortar effect! I was a happy bunny, no mistakes after all. 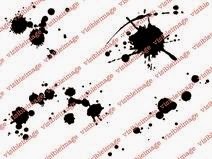 I then used some of the Express Yourself stamps, stamped in white to look like graffiti, and some splats in black embossing powder. Now IF I was a character colourer, I would most certainly have put Jake on here with his skate board. I am going to try this technique on some other projects and I will let you know what happens. Click HERE to find out about our Show & Tell challenge where you can upload your projects and tell us all about it for a chance to WIN stamps! Click HERE to go to the Visible Image blog to see DT inspiration projects and check out the Gallery. Hope that you have a great weekend planned. Here we are busy working, no days off for us for the forseeable future… But that’s ok because we LOVE what we do! Busy = Awesome! 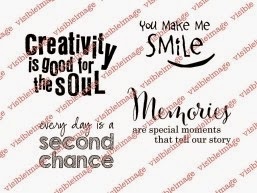 I am so excited about Visible Image’s new sentiment stamps! They are amazing, and so much fun! 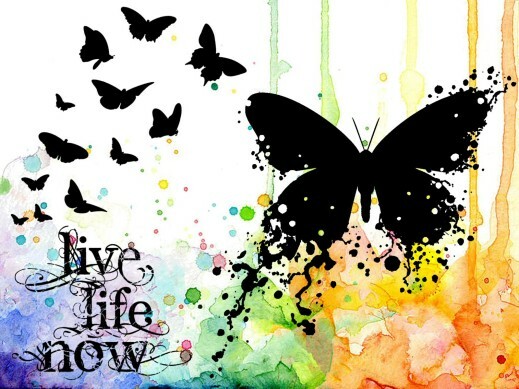 For this card I started by stamping and heat embossing the butterfly onto white cardstock. Next I stamped the sentiment in black ink and colored it with Copic markers. I added a row of banners to the top and used a fine black sharpie to add dots to them. The card front was adhered to a black card base, and I finished it off with a black and white twine bow. 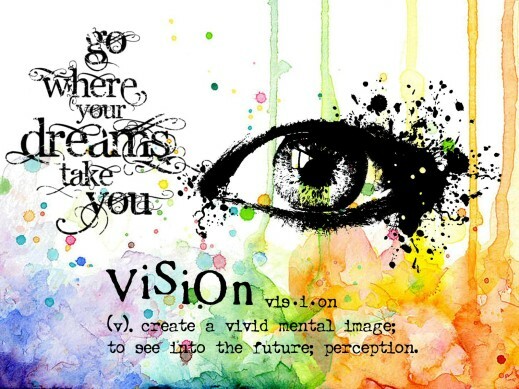 For more Visible Image inspiration check out their Facebook group, and previous Blog posts. LOVE LOVE LOVE this card! So bright and happy 🙂 Thank you Amber! 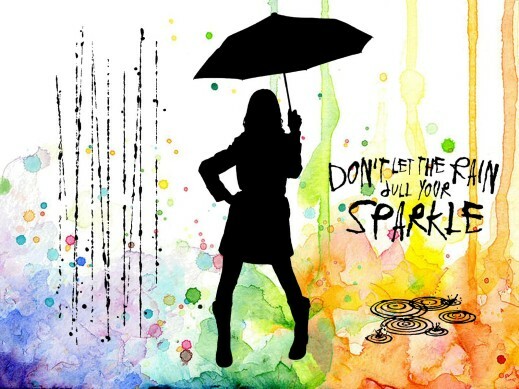 We’ll be back soon with more fabulous inspiration from Zoey! ‘Life is a journey’ is from the ‘This is me’ set, there are 6 in total and they’re awesome, they can be used for a multitude of projects! I wanted to make a card for a man 🙂 Alongside this fab sentiment I used the ‘Free Your Imagination’ set at £12.99. 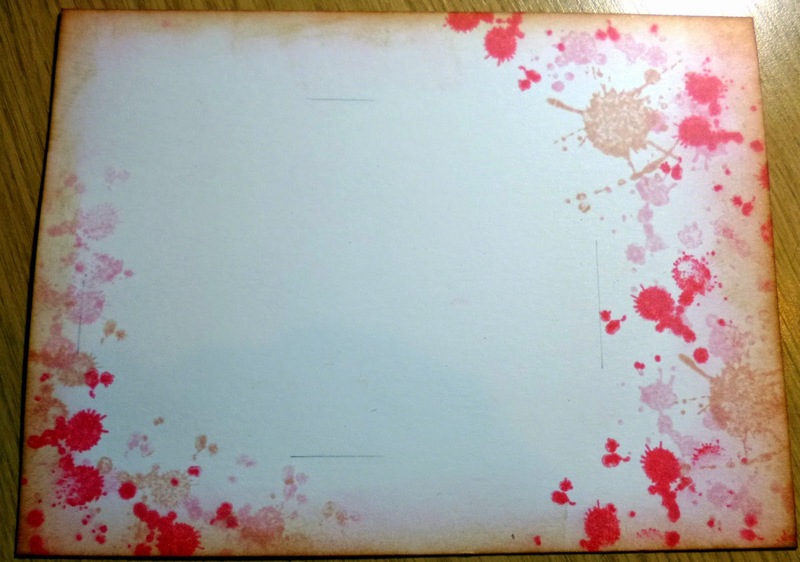 For the stencilling I used the Tim Holtz ‘bubble stencil’ with Ranger texture paste, its really chunky giving a lovely texture and for all the stamps I used WOW opaque bright white. Layered onto a mustard yellow, then black card. The chunkiness of the paste is better in this shot! JOIN OUR FACEBOOK GROUP HERE where you’ll find our NEW Show & Tell Challenge! We’ll be choosing a winner every month to win a gorgeous selection of stamps! SIGN UP to our Newsletter to ensure you never miss any of our NEWS and SPECIAL OFFERS! We’ll be back tomorrow with a double dose of Wonderful Wednesday inspiration <3 Including the very first Visible Image post from Lisa! Wow hasn’t it turned cold and icy these last few days, Wrap up warm everyone and be ultra careful walking on ice wont you all. 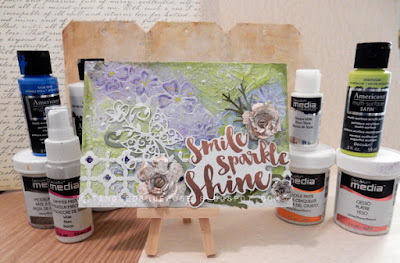 Today is my day for Visible Image of course and I’ve used one of the new Express yourself sentiments, with the baby set and the ink splats. 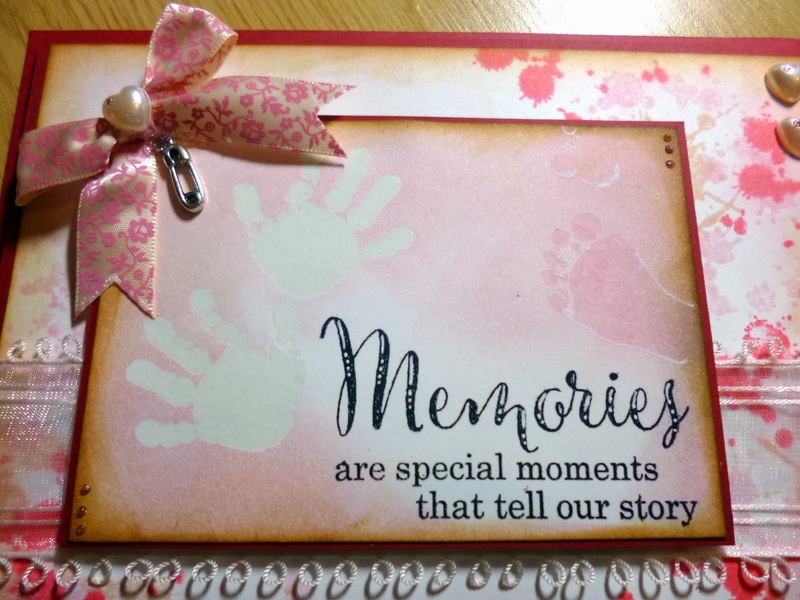 I really fancied making a baby card and this set is just perfect and the sentiment fits perfectly I think. 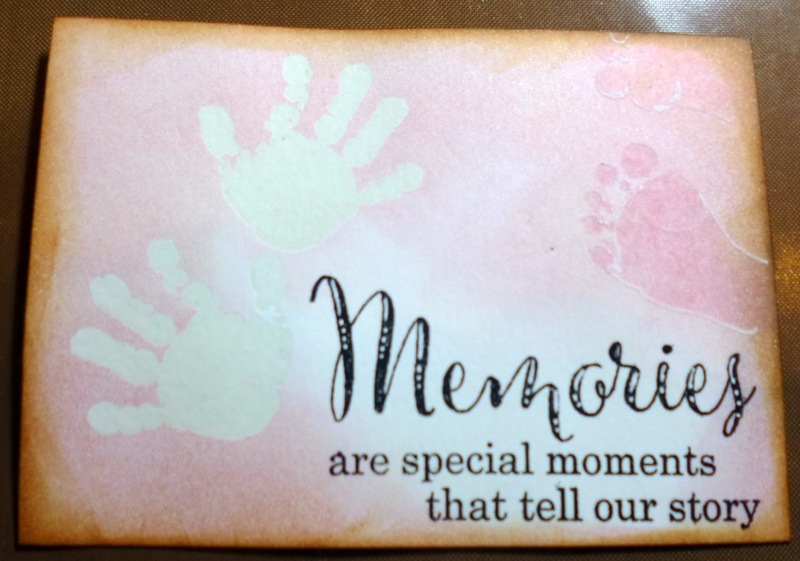 I started with the Baby stamp set and some perfect medium and embossed both the hands in clear powder. As you can see in the picture here , this shows the hands here. I also stamped out the sentiment with Black Archival ink. I took Spun sugar distress ink and worked it in from the edges and I also added Vintage photo on the very edges. I took the little feet and inked up with the same spun sugar for a tone on tone colour and added it just to the top left of the picture. Next I took a larger piece of white card and inked the edges the same as the last piece with the same two colours of distress then I took three colours spun sugar, tattered rose and Victorian velvet I think its called and my Ink splats stamps and added randomly to the right and bottom left corners. I mounted both the stamped sections onto red card and wrapped the bottom with a sheer organza ribbon and gave it a double red mat also. Here is a close up of the corners together , You can see I added some finishing touches, with the white pen Highlights the pearl hearts and ribbon bow. 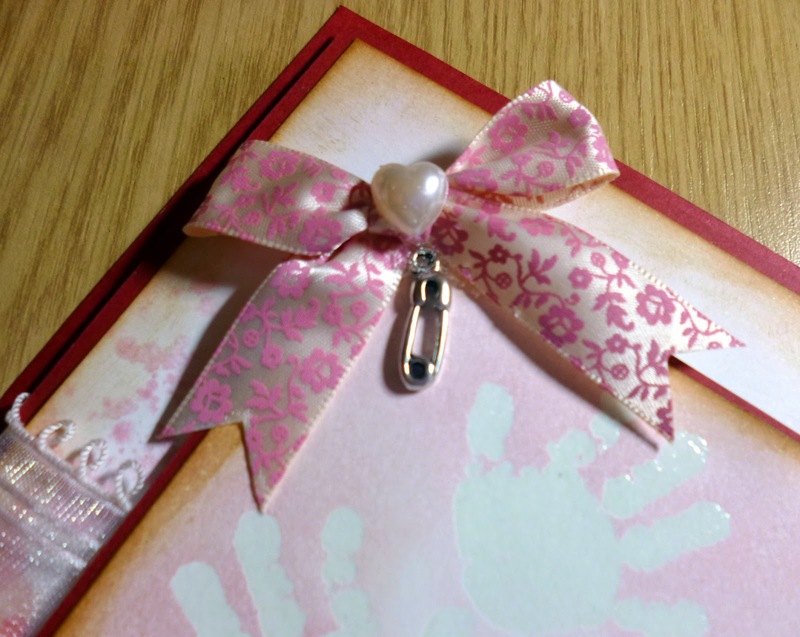 I added this little bow with a small decorative safety pin and another pearl heart to dress it. I added some pink stickles in tiny dots in two of the corners and also a small dot on the pearls for a little sparkle. So the finished card is here and I really like the prettiness of this one. and again here is the full image all finished, I think the backing turned out well and compliments the card perfectly. I had a lovely time creating this one as it is in colours I don’t automatically reach for. I hope you like it and will try to recreate it with your stamps and similar items if you have them. Hello! It’s a very exciting day here!!! We had so many pre-orders (thank you!) so if that was you, your stamps will be on their way to you this weekend! We hope that you will join our Facebook Group and show us what you make with them! The possibilities are endless with these words… Perfect for journaling, scrapbooking, mixed media and card making. And, if you haven’t already, get on over to our BLACK FRIDAY section and grab yourself some absolute steals! Thanks so much for joining us here today! 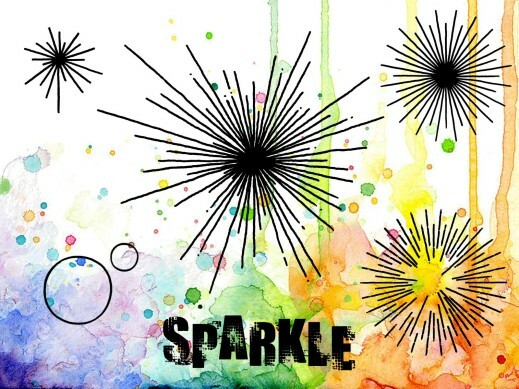 Created with our NEW Express Yourself collection, our Design Team having been ‘wowing’ us with their creativity! with our Crackle and Grunge Polka Dot Background stamps, Ink Splats and Poinsettia set. Such fabulous texture and divine colours! with our Large Winter Tree stamp. Loving these rich tones! Time after Time set was used to created the amazing background! brilliantly with the wild inky horses! Hope you will come back tomorrow to see more 🙂 Don’t forget you can pre-order these brilliant stamps right now! They are released this Friday, November 28th. Oh and there’s something else happening on Friday…. So how about this…. A MASSIVE 40% OFF SALE on selected stamps! Limited stock at those prices so make sure you check out our shop from 10pm tomorrow, Thursday November 27th!!! Our Design Team got their hands on our NEW ‘Express Yourself‘ stamps yesterday and have been excitedly creating some amazing samples! Sue must have so much patience adding all those diamantes! Was so worth it though! Fantastic border using just the heart stamp! Make sure you come back tomorrow to see more fabulous Design Team inspiration created with these NEW stamps! You can pre-order yours right now and they are released this Friday… so they will be in your hands very soon!!! We are so thrilled that you are loving our NEW Express Yourself collection 🙂 Thank you so much to everyone who has pre-ordered them! 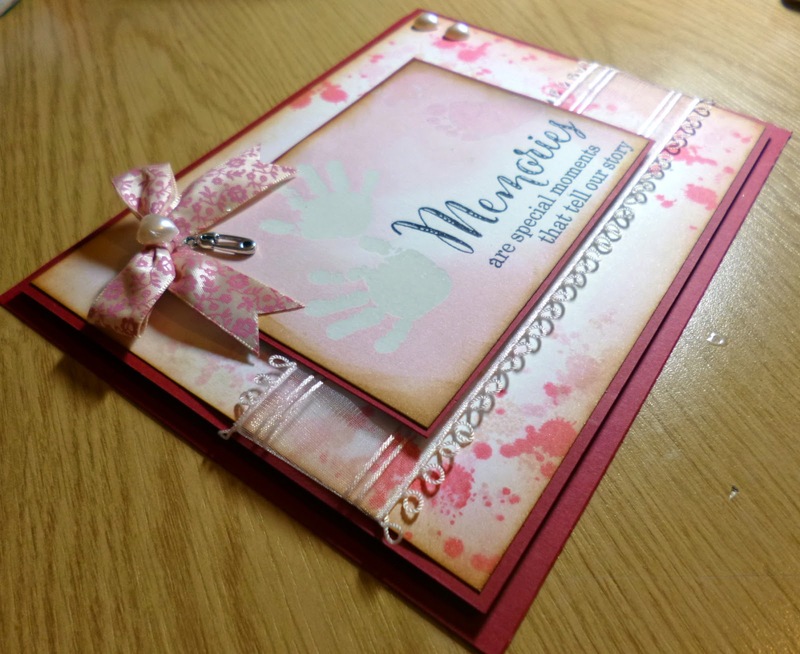 Kim has created this amazing card with our ‘This is Me‘ set! What an awesome background for these words. Brilliant work Kim thank you! If you head over to Kim Bacon’s blog you’ll find her ‘Marvellous Monday’ post which you just have to see!!! Upcycling with our stunning Revolution Set! Great for journaling, scrapbooking… and cards too. Come and join our EVENT over on Facebook, where we are giving you the chance to WIN your favourite set! Did you see yesterday’s post with the first peek at our NEW Express Yourself collection? You’ll find it HERE if you missed it! We cannot wait to launch these new stamps this Saturday!!! Perfect for scrapbooking and journaling! Express Yourself gives you all the words you want and need… with a mixture of beautiful and totally awesome fonts! They’ll all be available to pre-order this Saturday! Come and join our EVENT over on Facebook, where we will be giving you the chance to WIN the set of your choice! Make sure you pop back this evening to see the next sneak peek! We hope you will love them as much as we do! Make sure you come back tomorrow to see the next sneaky peek!